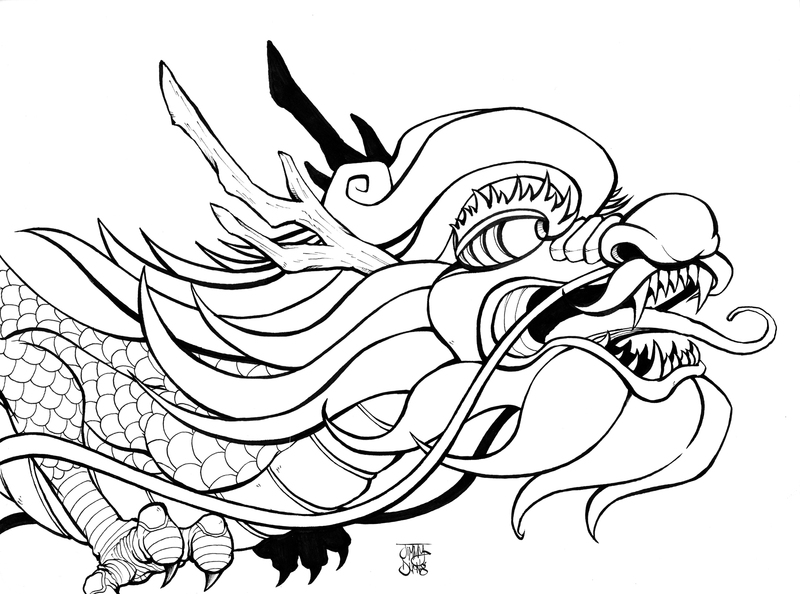 Red Dragon, inspired by some graffiti artwork I saw in Oakland, Chinatown. 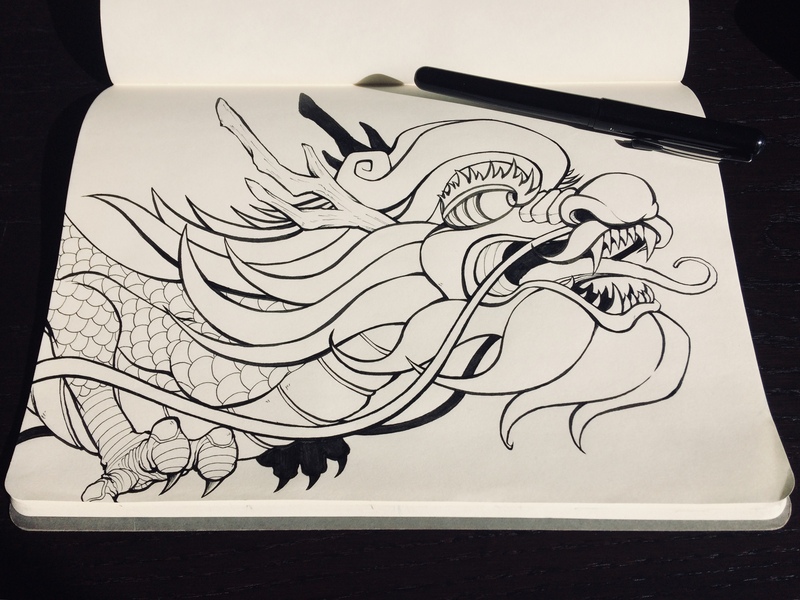 It was Lunar New Year, and I felt the itch to create something beautiful to start out the new year right. 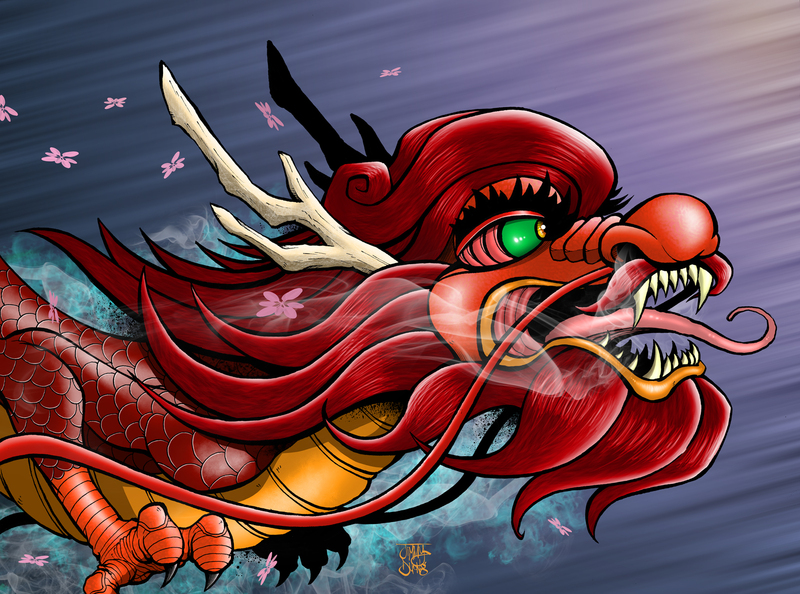 Inked the dragon traditionally and digitally painted it in Photoshop.